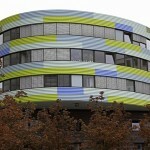 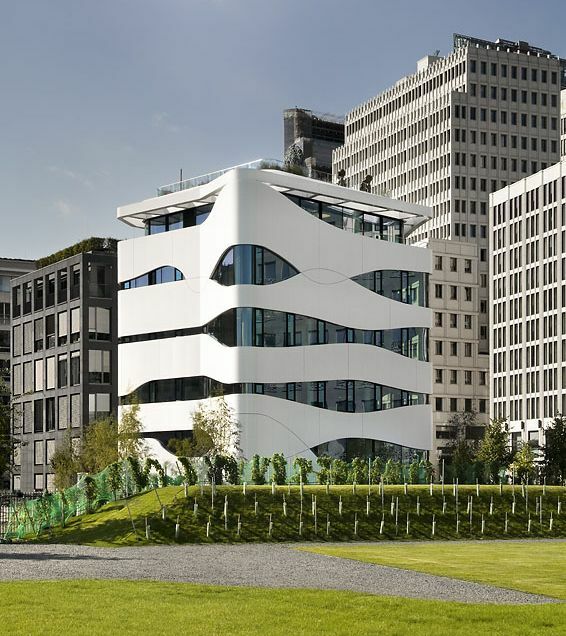 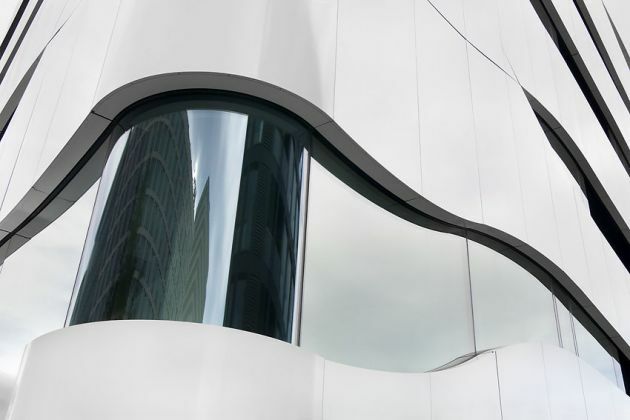 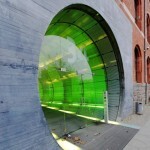 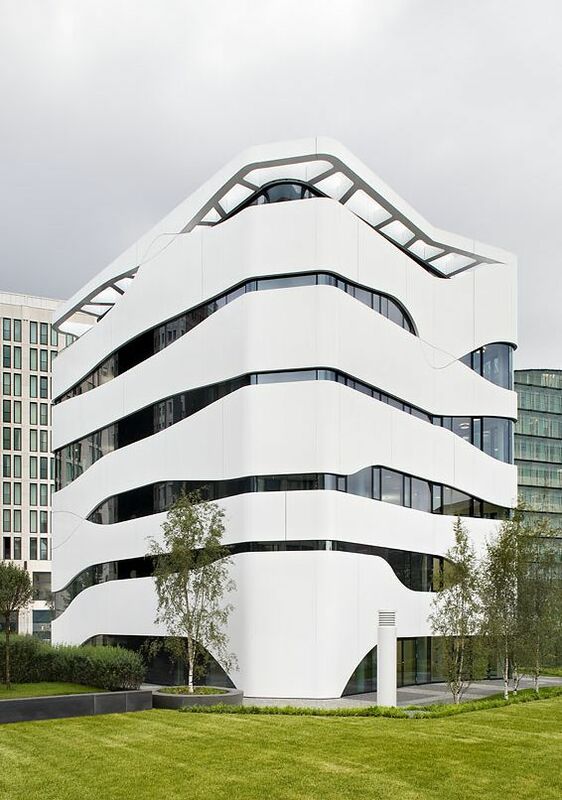 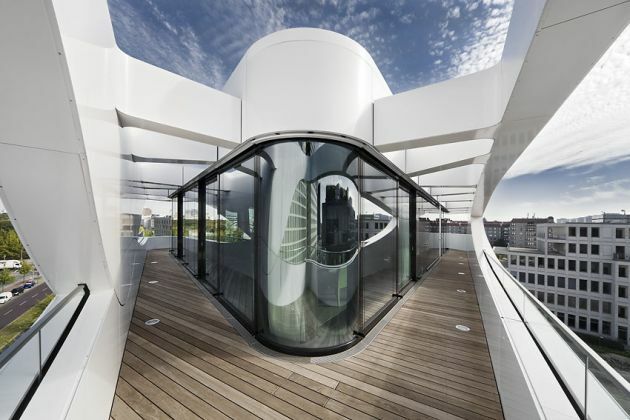 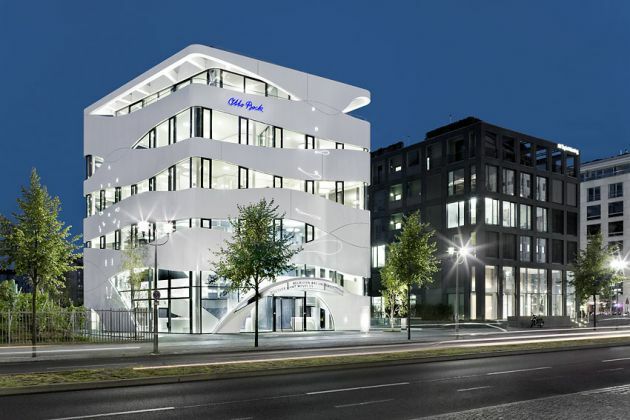 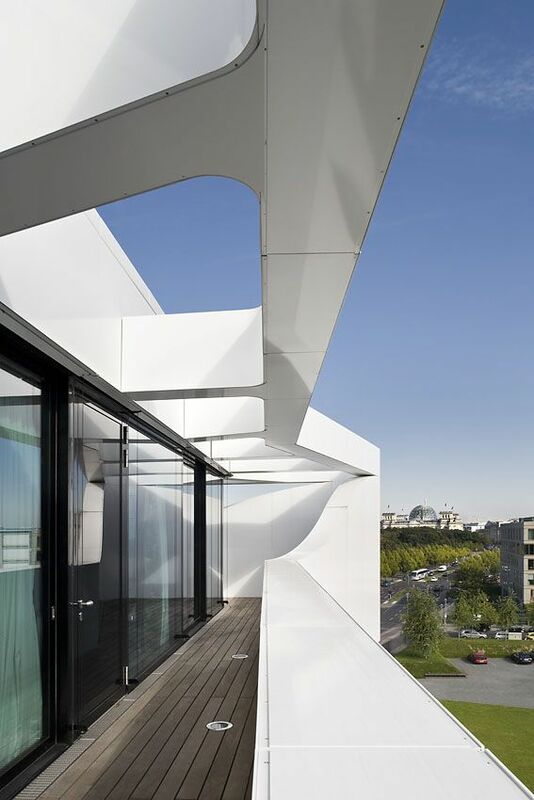 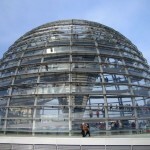 Gnädinger Architects have completed the Otto Bock building in Berlin, Germany. 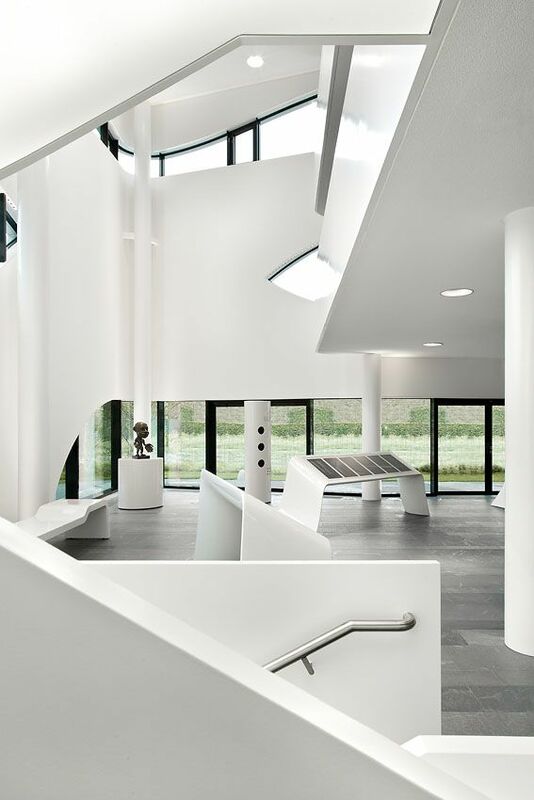 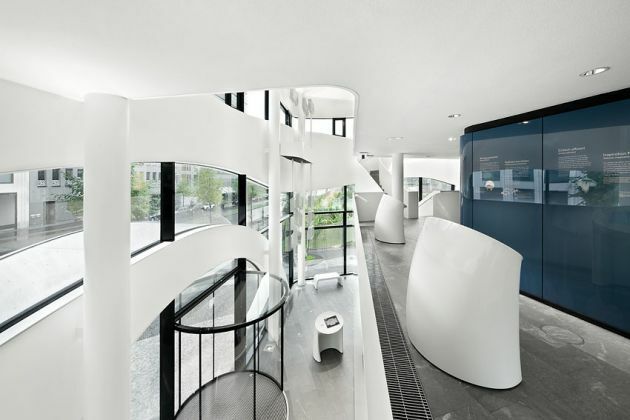 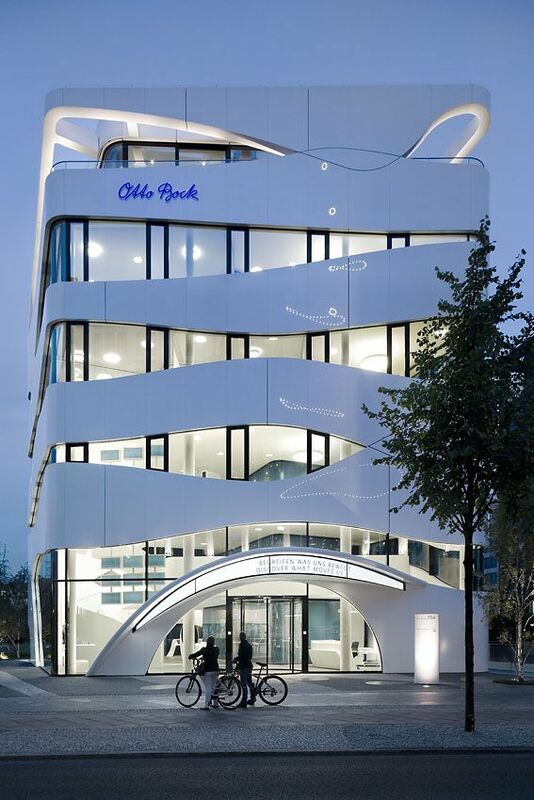 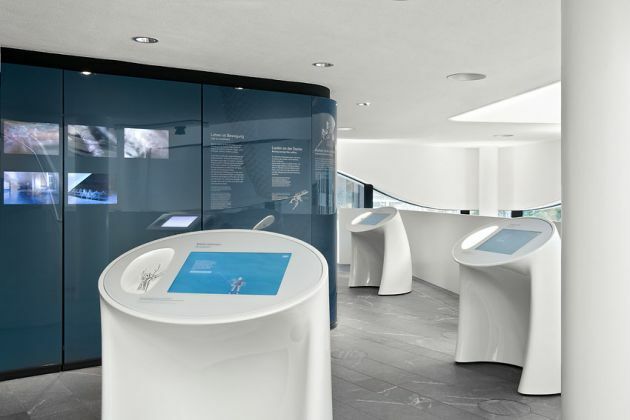 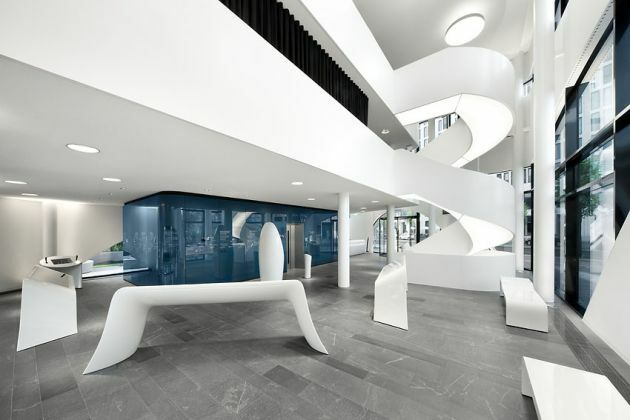 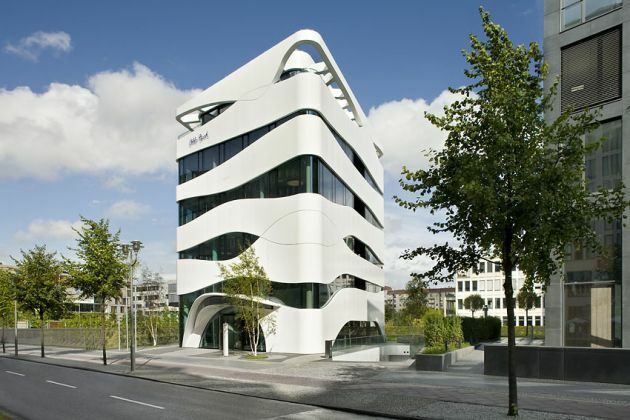 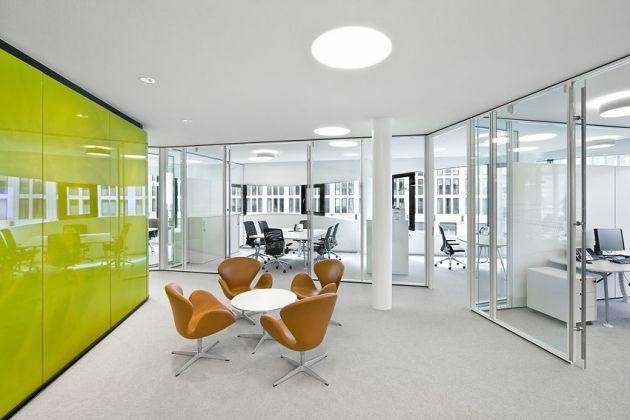 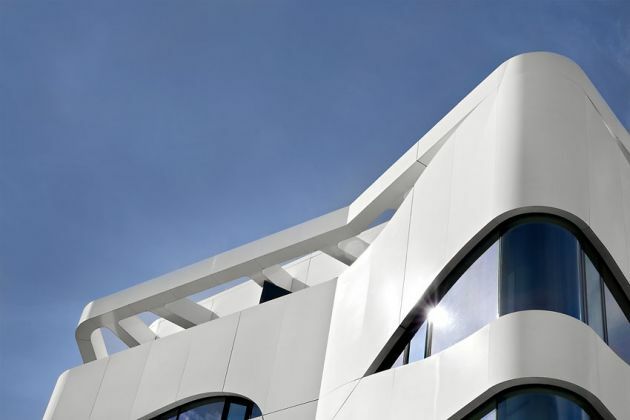 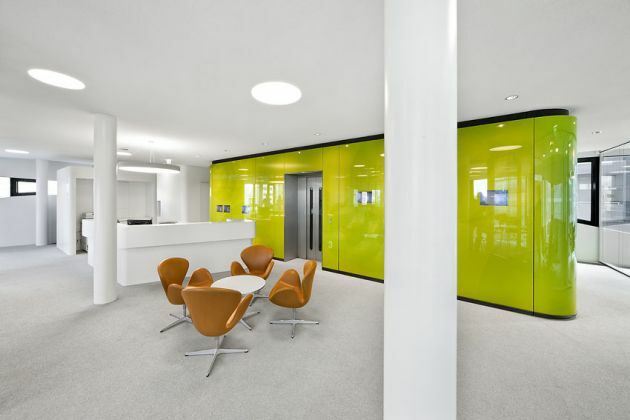 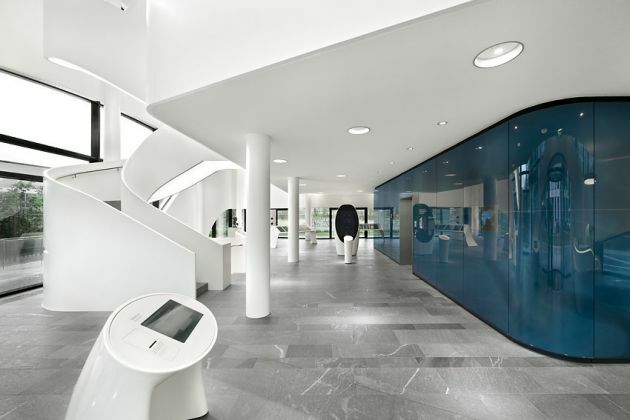 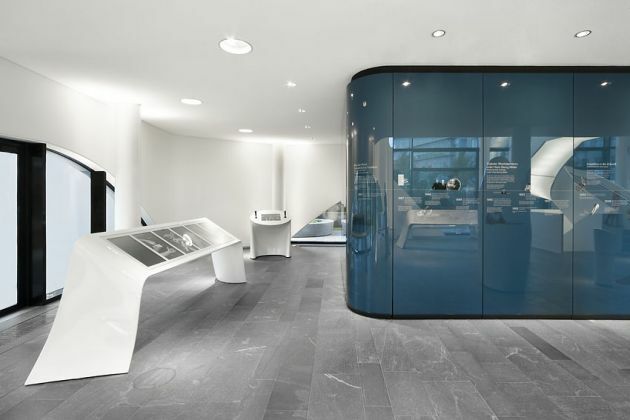 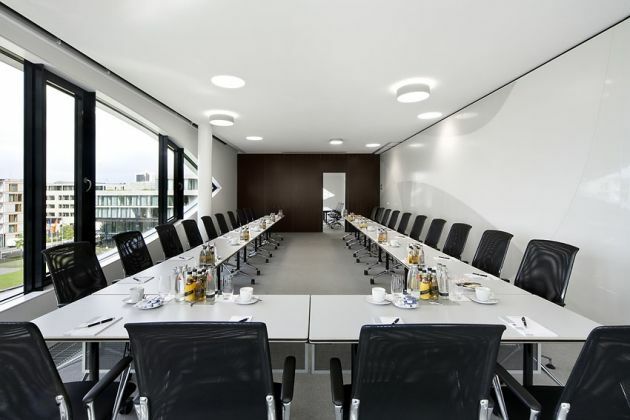 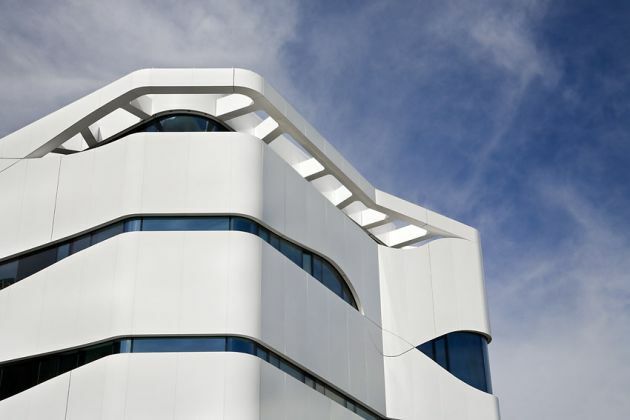 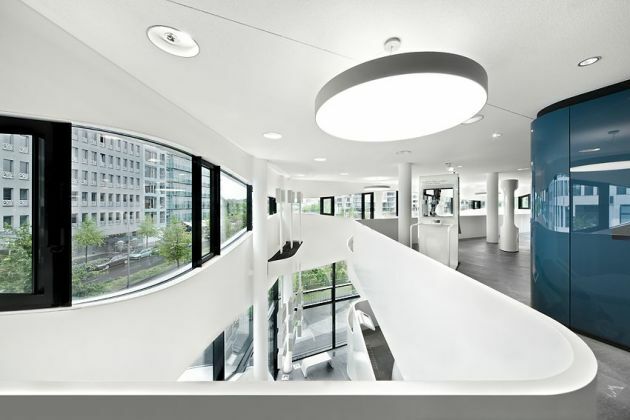 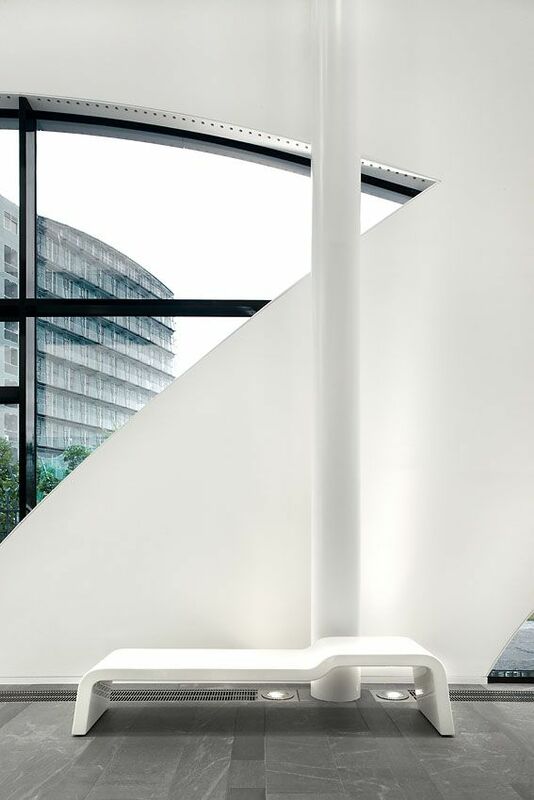 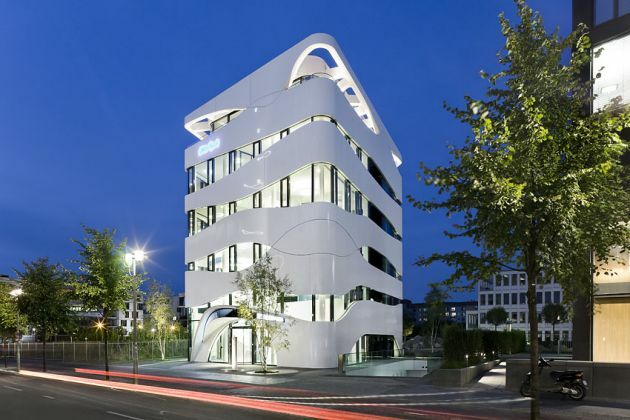 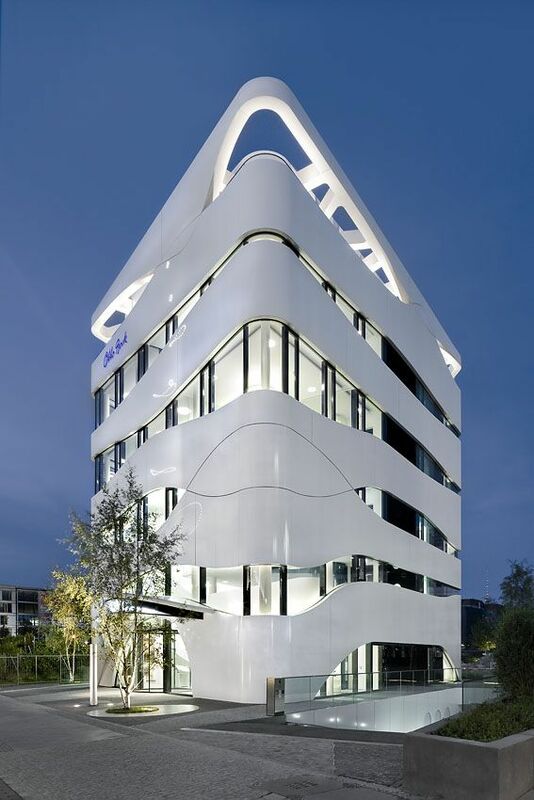 The building was designed for the Otto Bock HealthCare company, a world leader in prosthetics and orthotics. 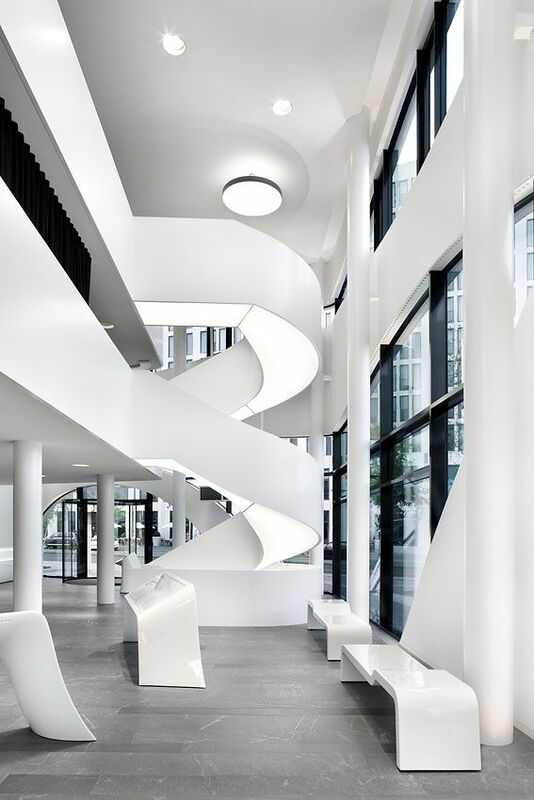 The organic-dynamic design of the six-storey building is based on the principles of nature – as a model of harmony between technology and people. 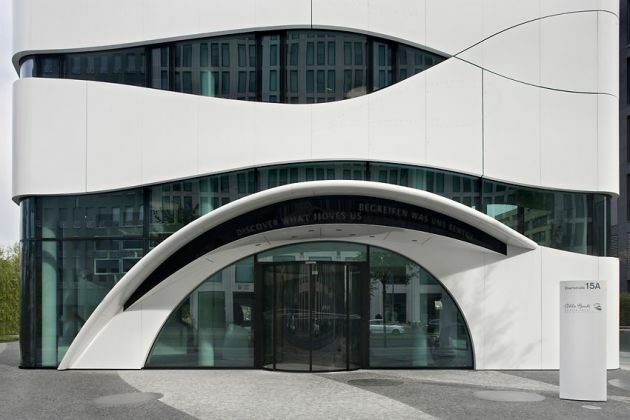 The facade bands have modeled the structure of muscle fibers that encircle the building structure in soft form. 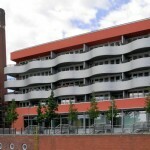 The “soft” appearance, combined with a unique facade media production, is an open, friendly and accessible institution, and thus contributes to the image building of the company. 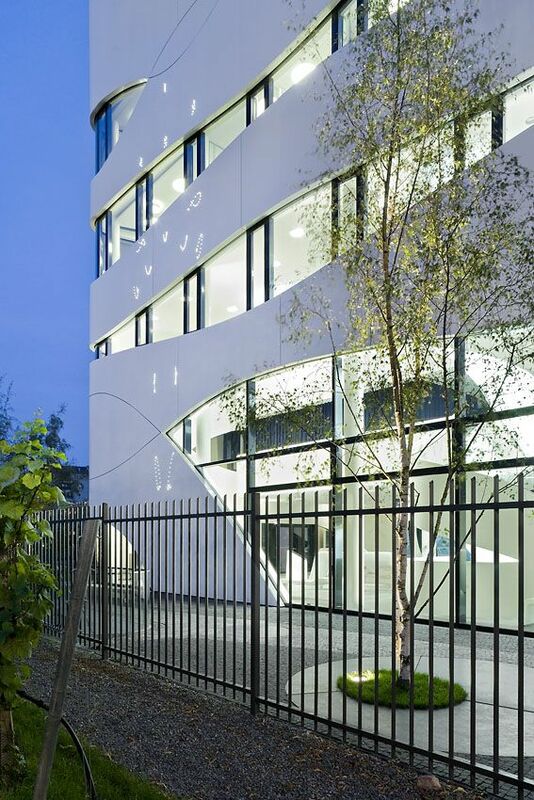 Visit the website of Gnädinger Architects – here.